According to the recent amendments to the Mexican Law of Industrial Property, which became effective from 10 August 2018, trademark registrations may be applied for individual and companies devoted to the manufacturing and sales of products or to the rendering of services. In Mexico, trademark protection is obtained once the trademark is registered before the Mexican Institute of Industrial Property. According to the aforementioned amendment, any sign that is perceivable by the senses and subject to be represented in a clear and precise manner which is capable of distinguishing products and services from others in the market may be registered as a mark. From 10 August 2018, Mexican law grants protection for non-traditional marks, specifically for sounds, scents, motions, colours and product design or configurations. While use of a mark may grant the individual or company certain rights, such as grounds for a cancellation action upon prior use or the possibility of opposing use performed in Mexico as an exception against an infringement action, exclusive rights over a trademark are only obtained by means of registration. Moreover, a mark may only be enforced against alleged infringers if it is already registered before the Mexican Institute of Industrial Property. The only exception to this general rule corresponds to notorious and famous marks, which may be enforced without a registration, provided that suitable and sufficient evidence demonstrating such privileged status is exhibited. According to the official document whereby the Mexican Institute of Industrial Property has established the terms in which a response in a trademark registration procedure should be issued, the examiner may issue his or her decisions in a file within a four to six-month period from the date on which the last petition is filed. Thus, an application that does not encounter any requirement or grounds for refusal may become registered within a four to six-month period. Nowadays, electronic filing of trademark applications is available. This type of application may in some cases be assessed in a more expeditious manner. Regarding designations deriving from an International Registration, the authority has up to 18 months to issue its first decision or letter. Generally, the examiners are taking advantage of this extended deadline. The official fee for the study, revision and issuance of a certificate of registration is 3,126.41 Mexican pesos. If the application is filed online, the government grants a 10 per cent consideration. If the application is objected to by the authority, then delays in obtaining the registration may be expected. Once a response to an official action is filed the examiner in charge will have another four to six months to issue a decision. In the event that official actions are issued, additional official fees will have to be paid in the amount of between 377.89 Mexican pesos and 755.78 Mexican pesos per requirement or objection. the word or phrase to be registered and a black and white or colour specimen in the case of designed or combined marks; if dealing with applications for sounds, scents and product configurations, in light of the recent amendments, the applicant should provide a description of the mark to be protected. a simplified power of attorney, which document must be executed by an authorised officer of the applicant company and by two witnesses. The accuracy of this information is very important since Mexican law provides that a trademark registration may be cancelled if it is granted upon false statements contained in the application form. Mexico follows the International Classification of Goods and Services under the Nice Agreement, 11th edition. However, it is very important to verify the drafting of goods and services, as examiners tend to be very strict concerning goods not expressly contained in the classification as described. According to the Mexican Law of Industrial Property, multi-class filing is not available. Another issue to be taken into account is that according to the current criterion of the Trademarks Office, claiming the class heading of a class does not mean that all goods and services pertaining to said class are protected. Thus detailed descriptions are preferred. Trademark applications are subject to two different types of examination. Initially a formal examination is performed to make sure that all the required information has been provided and that the goods or services to be covered are property drafted and classified. In a second examination, the officer determines whether the proposed mark is subject to being registered, either due to its nature (absolute grounds) or in light of pre-existing registered marks or pending applications (relative grounds). Applicants have a two-month term, counted from the date in which they are served with the official action, to respond to any objection, it being possible to obtain two extensions of one month each time. The extensions do not need to be applied for, as they operate automatically provided that complementary fees of approximately 377 Mexican pesos per month are paid in a timely fashion. Traditionally, the authority has disregarded documents of consent and coexistence agreements, upon the argument that beside having the obligation to protect the rights of brand owners, they had to protect consumers from being led into confusion or error when finding to identical or confusingly similar marks for Identical or similar goods and services. However, due to the amendment to the law, the Mexican Institute of Industrial Property will have to accept documents of consent when dealing with confusingly similar marks. When filing the application, the applicant must state whether the mark has been used. The amended law expressly states that the date of first use should refer to Mexican territory, something that had been argued back and forth for several years. Now that the amendments have come into effect the controversy will disappear as the date to be claimed as of first use should refer to Mexico. The other issue is that if no mention is made of the date of first use, the law provided it should be presumed that the mark has not been used. Now, with the commented amendment it is stated that if no date of first use is claimed, then it will be understood that the mark has not been used. In Mexico, trademarks may be registered even if their use has not commenced. The ownership of a foreign registration does not grant any right of priority on behalf of the applicant except that provided by the Paris Convention. Mexican law did not expressly provide the time in which use of a mark must begin. However, in light of the amendments that came into effect from 10 August 2018, registrants will have to file a declaration of use within the three-month period following the third anniversary of the corresponding registration. If said declaration is not filed, the registration will automatically lapse. The decision to deny an application may be challenged either by means of an administrative recourse before the Mexican Institute of Industrial Property or through a nullity action that must be filed before the Federal Court of Fiscal and Administrative Justice, which has a specialised chamber for intellectual property matters. Accordingly to Mexican law, applications will be published for opposition purposes within a 10 working-day period, counted from its filing date. The deadline to file an opposition is one month following the date of publication. This deadline is non-extendable. The Mexican Institute of Industrial Property publishes listings detailing the trademark applications that have been opposed. Upon the corresponding publication, an applicant has a one-month term in order to file its response to set out the grounds of opposition. Since 10 August 2018, once the term granted to the applicant to respond to the opposition expires, the authority will grant two days for both parties to submit their final allegations. The amendments now allow the filing of oppositions on the ground of bad faith, namely, in those cases where the marks is applied for against good practice or when the applicant intends to obtain a benefit against the interests of the rightful owner of the corresponding mark. The grounds for opposition are not limited to pre-existing rights, but include other absolute grounds, such as the descriptiveness of a proposed mark. The opposition process as outlined in law does not suspend or interrupt the registration process and thus should not delay the study and ruling of trademark applications. The examiners still carry out the formal and novelty exams and thus are able to object to applications on both relative and absolute grounds. Once the registration process is concluded the examiner will determine whether the application should be granted into registration, in which case the certificate of registration will be issued. the registration was obtained in bad faith, namely by a distributor, licensee or agent of a foreign registered mark. Costs related to oppositions and cancellation actions depend on many factors, such as the type of evidence to be rendered and whether certification, legalisation and translation of documents will be required. On the other hand, in Mexico there are no standardised tariffs or guidelines regarding professional fees, which may vary depending on the engaged firm. Thus, it is of the utmost importance to work closely with counsel to come up with a time and cost-effective strategy. In Mexico, a trademark registration is in full force and effect for a 10-year period, it being possible to file subsequent renewals for 10 years. The 10 years are counted from the filing date of the corresponding application. If the third anniversary declaration of use is not filed, the corresponding registration will automatically lapse. The official fee regarding the commented declaration of use are 1,143.38 Mexican pesos. While Mexican legislation does not provide a guideline on the use that suffices to defend a registration (eg, if token use is enough), the law’s administrative regulation states that the use of a mark should be performed in accordance with the practices of the relevant market. The benefits of registering a mark may be summarised as the possibility of using the mark without infringing the rights of a third party and the possibility of stopping a third party from using the mark. Obtaining the registration of a mark provides the brand owner with a title that may be opposed if, for example, the use of an evocative mark were alleged as an infringement to a third-party registered mark. Additionally, the Mexican Law of Industrial Property expressly provides that the exclusive right to use a mark and thus the right to enforce it against third parties is obtained by its registration before the Mexican Institute of Industrial Property. Accordingly, actions to prevent unauthorised use, provisional measures and border enforcement are only available to owners of registered marks. According to domestic legislation, licence agreements may and must be recorded before the Mexican Institute of Industrial Property in order to produce legal effects against third parties. While Mexico is a signatory to international treaties that provide that use of a mark should inure on behalf of its owner if the owner controls such use, it is advisable to record licence agreements. For many years the federal courts held that domestic law had a preferential effect with regard to international treaties. Consequently, recordal of a licence agreement was considered as the only manner in which use performed by a licensee could inure to the benefit of a registrant. At present, the Federal Court’s criterion is different as they have considered that international treaties have the same constitutional rank as domestic law and thus there are many judgments that have recognised controlled use in light of NAFTA or TRIPS. Notwithstanding the above, in order not to depend on a criterion that could change at some point, it is advisable to record licence agreements. Rights derived from trademark applications and registrations may be assigned. While the Mexican Institute of Industrial Property had sustained that benefits derived from the use of a mark and, in turn, goodwill were not transferred in an assignment, there are some judicial precedents where this criterion has been reversed. Assignments may be total or partial depending on whether the mark is entirely transferred or if only a portion of the property rights is assigned. In the latter case, the mark will be understood as being in joint ownership. When negotiating the assignment of a mark it is important to verify that no other marks may be considered as linked. According to Mexican law, linking of a mark takes place when there are identical or confusingly similar marks covering products or services of a similar nature that pertain to the same owner. If linked marks are detected, the authority will not allow the assignment of only one application or registration and therefore all of the marks should be included in the assignment document. In order to record an assignment, an original document of assignment, preferably depicting the involved registrations, or a duly certified and legalised copy, should be submitted along with a completed form. All documents drafted in languages other than Spanish should be accompanied by their translation. The translation does not need to be certified. The assignment of a mark must be recorded in order for it to produce legal effects against third parties. Mexican law recognises security interests over registered marks. The security interest should be recorded before the Mexican Institute of Industrial Property to produce legal effects against third parties. In order to proceed with such a recordal, an original document or a certified and legalised copy thereto must be exhibited along with the corresponding translation into Spanish, if applicable. Marking in Mexico is mandatory since it enables the registrant to pursue civil or criminal actions against an infringer. Moreover, under the criteria of the Mexican Institute of Industrial Property, use of markings is necessary in order to obtain preliminary and precautionary measures, such as seizures of infringing merchandise and others. The only symbols accepted by Mexican law are: ®, MR or marca registrada. The display of the words ‘registered trademark’ (marca registrada), the letters MR or the symbol ® may be used only in connection with the products or services for which the mark was registered. The enforcement of trademark registrations should be made before the Mexican Institute of Industrial Property by means of infringement action. In these types of actions, the plaintiff can claim unauthorised use of an identical or a confusingly similar mark, it being always necessary that such use is performed in connection with goods or services that are identical or similar to those covered by the corresponding registration. Additionally, manufacturing, transportation, distribution and commercialisation of counterfeit goods are activities that constitute felonies that may be pursued by means of criminal actions before the Federal Prosecutor’s Office. The administrative infringement procedure commences with the filing of a claim before the Mexican Institute of Industrial Property. Along with the claim, the plaintiff must exhibit and attach all documents offered as evidence. Documents must be submitted in the original or as certified and legalised copies and accompanied by their Spanish translation if they are drafted in a different language. The Mexican Law of Industrial Property allows submission of all types of evidence. The only particular requirement is that confessions and witness proof should be rendered in writing. Once the plaintiff’s writ is admitted, the Institute orders the service of the alleged infringer, who will have a 10-working-day period in order to file its responsive brief and supporting evidence. According to Mexican procedural law, the plaintiff has a three-day term in order to rebut the exceptions and evidence submitted by the alleged infringer. Thereafter, the Institute will grant both parties a five to 10-day term in order to submit final allegations. Once this term expires the Institute will be able to commence with the drafting of its decision. Prosecution of an infringement procedure may typically last seven to 12 months, depending on the amount and nature of the evidence submitted by the parties. As a general rule, it is the plaintiff who has the burden of proof to demonstrate the fact upon which an infringement is alleged. However, the alleged infringer also has the burden of proof to demonstrate the facts upon which exceptions are opposed, for example, the existence of a parallel imports status for the infringing goods. According to the Law of Industrial Property the owner of a trademark registration and duly recorded licensees may initiate infringement and criminal actions. If a registrant wants to prevent licensees from seeking remedy for an alleged trademark violation, then such a prohibition must be expressly contained in the corresponding licence agreement. Only activities performed within Mexican territory may be alleged as infringing conduct as the legal effects of trademark registrations are limited to Mexico. Mexican legislation does not recognise or regulate discovery as it is understood in other jurisdictions. However, a particular provision in the Law of Industrial Property provides that if a plaintiff or an alleged infringer has offered all the evidence they have under their control and states that a certain piece of evidence is in the power of their counterpart, the authority may order the exhibition of such documents or object. In such cases, the authority should take all the necessary steps to protect the disclosure of documents or information that may constitute confidential material. The typical time frame for an infringement action before the Mexican Institute of Industrial Property is seven to 12 months depending upon the amount and nature of evidence that is submitted. Once a decision is rendered, its revision before the Federal Court of Fiscal and Administrative Justice may take anywhere from eight to 12 months. Finally, the decisions rendered by the Federal Court may be contested by means of a judicial appeal (amparo) that can be ruled within a six to eight-month period. Costs related to infringement litigation depend on many factors such as the location of the premises of the alleged infringer, the number of premises, travel expenses, the type of evidence to be rendered and whether or not provisional measures are requested. Thus a bond must be submitted if the alleged infringer appears before the Institute or not, as well as government fees. On the other hand, in Mexico there are no standardised tariffs or guidelines regarding professional fees, which may vary depending on the engaged firm. Thus it is of utmost importance to work closely with counsel to come up with a time and cost-effective strategy. The decisions of the Mexican Institute of Industrial Property may be challenged either by an administrative recourse before the same Institute or by means of a nullity action before the Federal Court of Fiscal and Administrative Justice, which has a chamber specialised in intellectual property matters. Thereafter, the decisions rendered by the Federal Court may be contested by means of a judicial appeal (amparo) that has to be filed before a circuit court. An alleged infringer could structure a defence upon parallel imports if the involved goods were legally introduced into the Mexican market by the brand owner or a licensee. 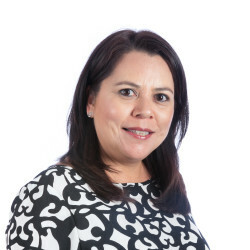 Another line of action would be to oppose prior use of the same or a confusingly similar mark within Mexican territory in connection with goods or services identical or similar to those covered by the registration upon which the infringement is alleged. Additionally, the alleged infringer could challenge the validity of a trademark registration or oppose its name or corporate name if the same was adopted prior to the filing date of the registered mark or the one stated as of first use. During the prosecution of the infringement action, the plaintiff may request the adoption of provisional measures to prevent the infringement conduct persisting during the time of litigation. These provisional measures may consist in seizure of goods, closing of premises, orders for suspending commercial or service activities related to the infringing conducts or even retrieval of goods alleged to be infringing. Once there is a final and conclusive decision declaring the existence of a trademark infringement, the plaintiff may claim damages, for which purpose an action would have to be lodged before a civil court. According to Mexican law, damages are awarded in an amount equivalent to at least 40 per cent of the public selling price of each product or the price of the rendering of services involved in the alleged infringement. Depending on the nature of the involved goods, services, individuals or companies, the owner of a registered trademark can submit its case to a non-governmental association such as an industrial chamber. However, the decisions rendered by such associations are not enforceable beyond the association’s sphere and thus would not have legal effect. Moreover, in order to be able to claim damages it is essential to obtain a decision from the Mexican Institute of Industrial Property declaring the existence of the alleged infringements. Mexican law recognises and protects notorious and famous trademarks even if they are not registered in Mexico. However, the statute of notoriety and fame is in reference to Mexico and thus the protection of such trademarks derives from commercial and advertising activities of which Mexican consumers may have been aware. Accordingly, suitable evidence to argue the notoriety or fame of a mark would consist of invoicing material showing sales to Mexican consumers and advertising material with a circulation within Mexican territory or that has been available to Mexican consumers. the need to file declarations of use on the third anniversary of the granting of a registration. At this point we are waiting for the Mexican Institute of Industrial Property to issue the Administrative Regulation, which will clarify some issues, particularly concerning the way in which the recently incorporated non-traditional marks should be represented and whether evidence of use will need to be attached to the declarations of use that must currently be filed. At the time of writing this Regulation has yet to be published. Still awaited is the tariff that will be charged for the declarations of use to be filed. 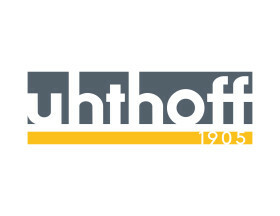 Uhthoff, Gomez Vega & Uhthoff, remains as leader of the Intellectual Property forum in Mexico. The firm’s vision is to be the most prestigious and recognized law firm with global reach. Its mission is to provide quality services in business law with the highest standard of ethics and values.